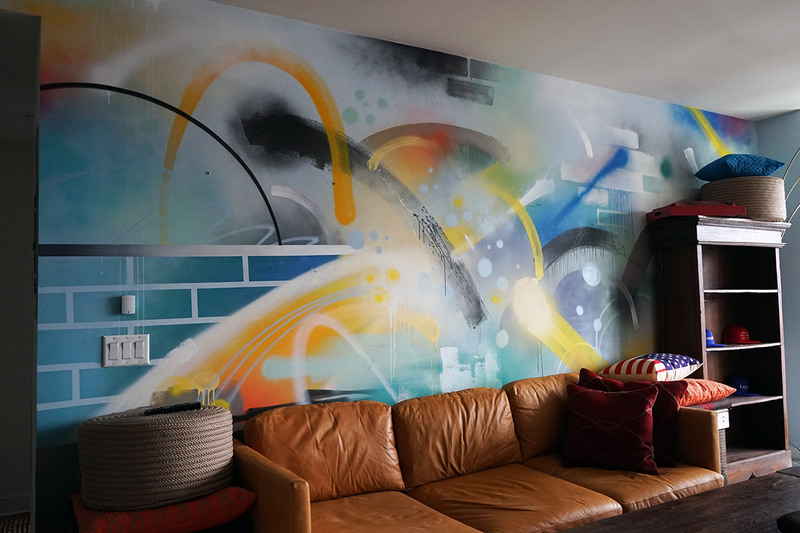 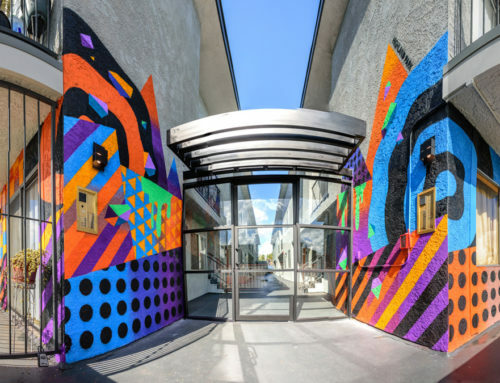 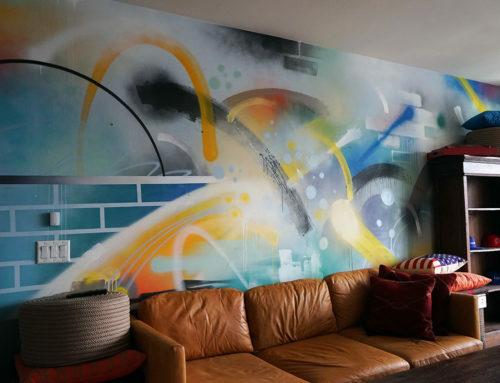 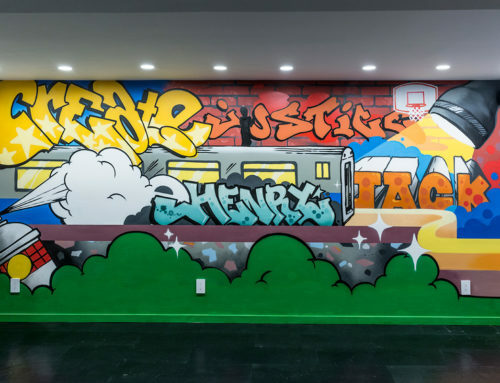 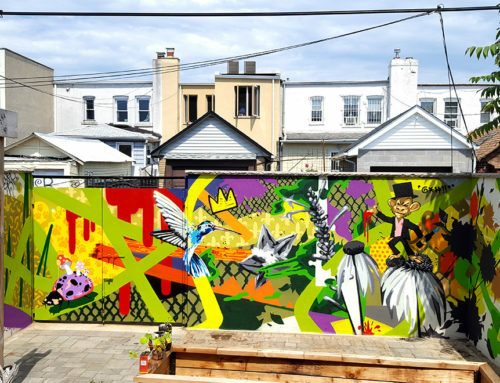 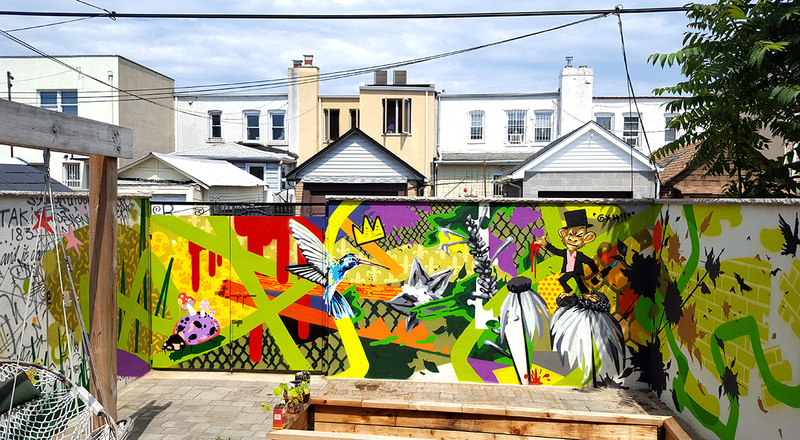 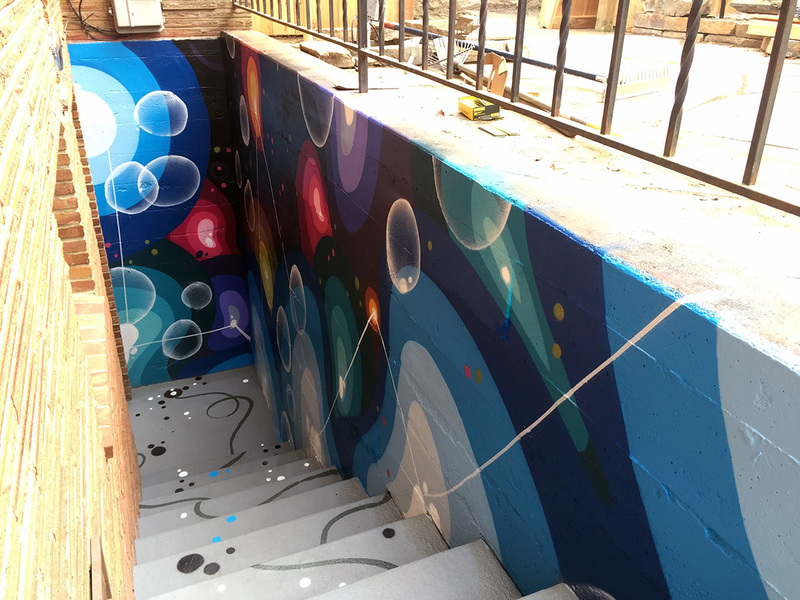 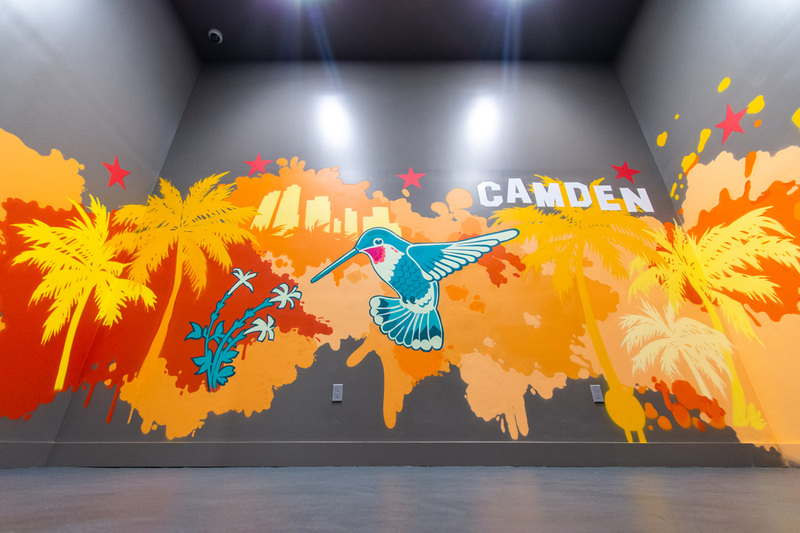 Residential street art mural for apartment community builders, Camden Living. 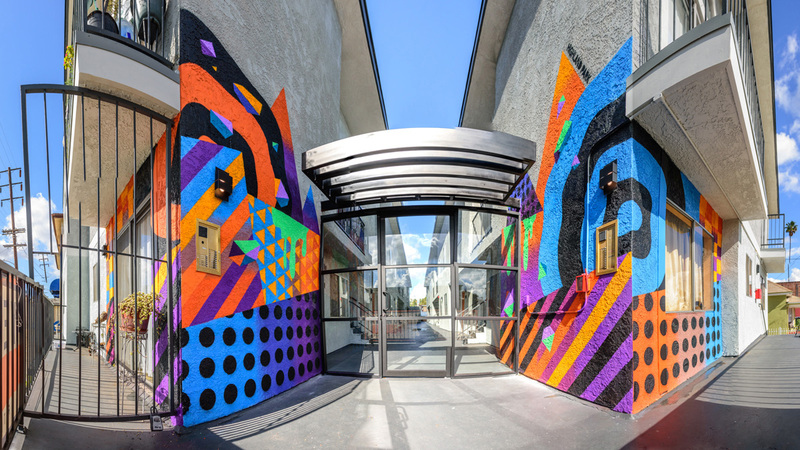 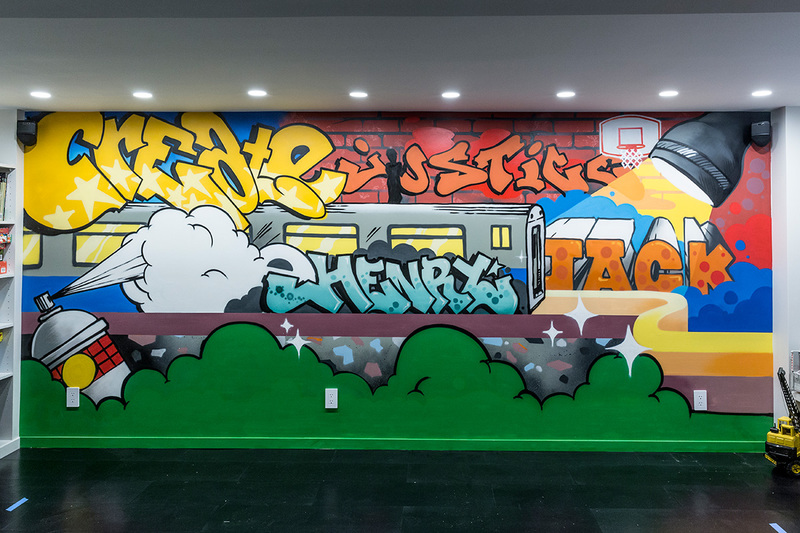 We were able to transform a parking garage wall in their Los Angeles location into a city-centric work of art, while tying in their brand. 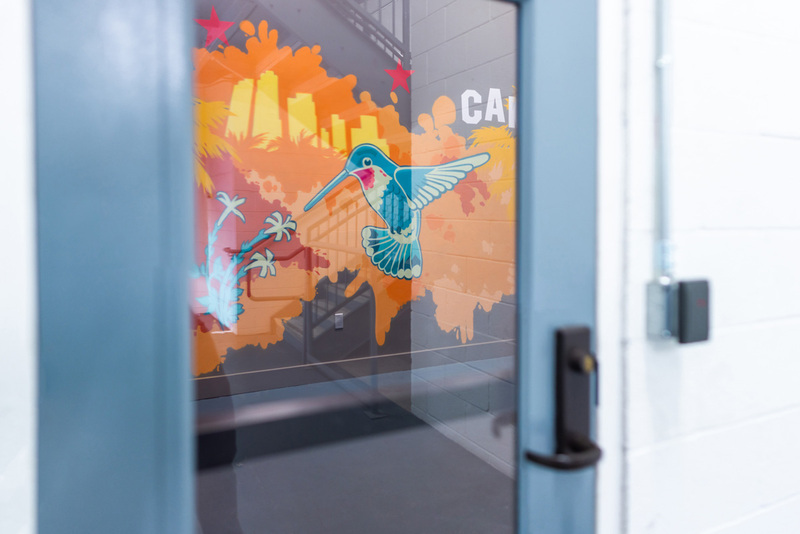 Our artist’s solution was to reference LA landmarks with a splash and eye-popping colors, using a palette that would compliment their gray 3-paneled wall. 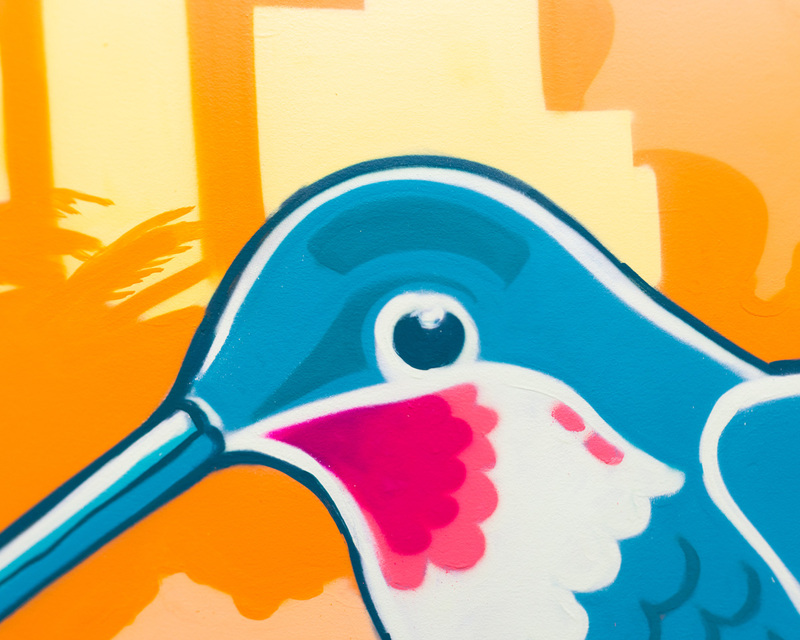 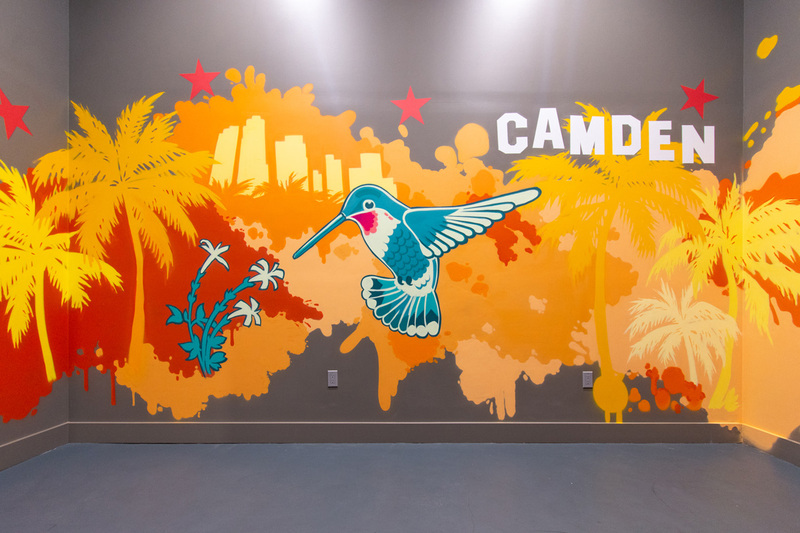 As a result, when the elevators open at the ground floor, tenants are welcomed by the Hollywood hills (or “CAMDEN” hills); palm trees, and a play on Camden’s hummingbird logo. 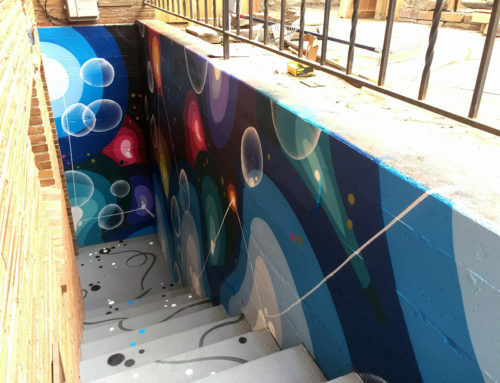 We think the combination of colors and dynamic energy of the design bring life and style to this otherwise unnoticed underground setting.